This tuna recipe has a mixture of flavors that really compliment each other. It's spicy, yet sweet, and pungent as well. Enjoy with your favorite grilled vegetables or with rice. 1. Combine all sauce ingredients in a small plastic or glass bowl. Set aside. 2. Preheat grill for medium-high heat. Season steaks with salt and black pepper and place onto grill. 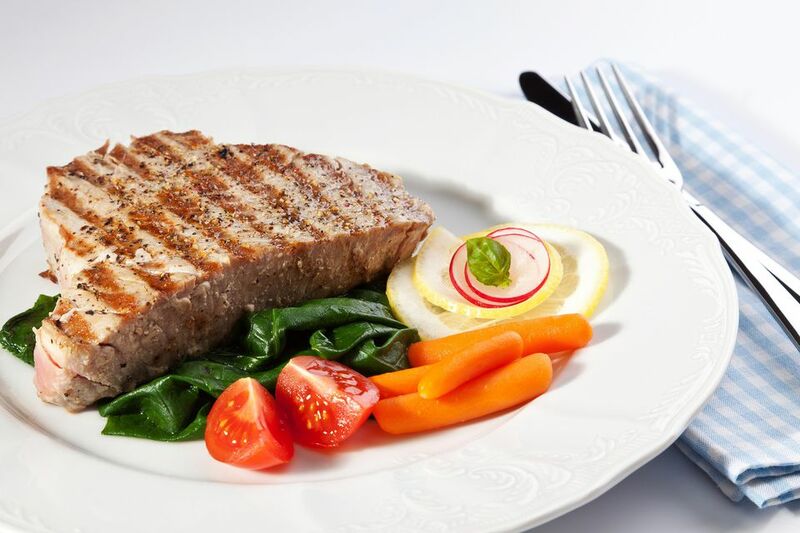 Baste tuna steaks well with sauce, cook for 5 minutes. Turn steaks, baste again, and continue to cook for 5 more minutes. 3. Remove from heat and serve with chopped green onions on top.